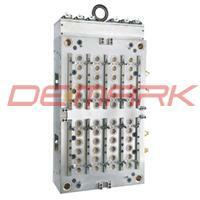 2.The cap mould is made of high grade steels from Japan and imported P20 and 2316 steel, etc. 3.The cap molds is designed with advanced second-level taper positioning technology and slide-type independent self-locking, hence the concentricity of the product is guaranteed. 4.Cap Molds adopts advanced and reasonable design, each cavity having independent temperature control & heating system, which boasts an even heating temperature and keeps product with reliable and stable quality. 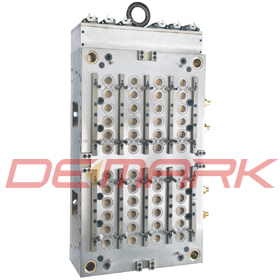 5.Closure mould has independent condensation system in each mold cavity and mould core. Mold cavity is replaceable, so that the label atop can be changed.